"Do you think the market price of Crude Oil will be higher or lower than yesterday’s settlement price of $53.85 per barrel before March 17, 2017?" This program is designed for a novice to express an opinion on the markets. It's a simple and interactive way to begin understanding options on American, European and Asian financial markets. Enter your position with a deposit where you'll win if you're right or lose if you're wrong. 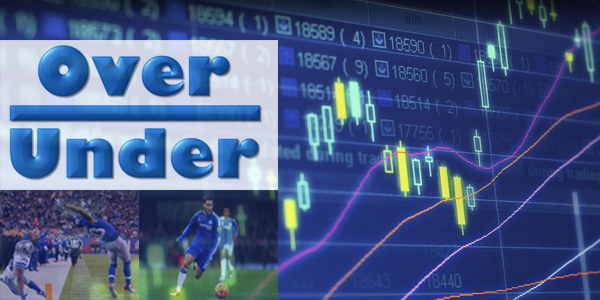 MarketPlus Over-Under - offers a way for a person to choose higher or lower on 5 markets (ES, GC, CL, 6E). Purpose is for a novice to become familiar with futures options conventions and entering trades on a platform. Receive an attached PDF weekly over-under report and a zip file template that can be imported to interactive brokers TWS. Create a Log in to our website and watch step by step videos on what to do. Initially start with a demo account and go to Live account. ** About MarketPlus Over-Under: This program is designed for a novice to express an opinion on the markets. It's a simple and interactive way to begin understanding options on American, European and Asian financial markets. Enter your position with a deposit where you'll win if you're right or lose if you're wrong. If correct in your prediction, you'll make a profit on the position or otherwise incur a loss. Each proposition has a maximum limit for gain, loss and breakeven. You can exit your proposition at any time. Monitor your position each day on a paper trading account from your mobile phone, tablet or computer. You can decide later whether to do this Live. As your position reaches its expiration date, it will grow towards its maximum gain or loss. You'll look to close your position prior to the expiration date. Get started with instructions and videos. You'll download an award winning software with easy steps on how to use it. Receive reports throughout the week you can use immediately. Oahu TWS Live offers premium support if you need assistance.